I like how the letterforms are overlapping in Yuki Murata’s work, as there is a sign in her work that sound is involved through her typographic arrangement and scale. Derek Beaulieu. (2008). Untitled (for Natalee and Jeremy). [Online]. Available at: http://www.poetryfoundation.org/poetrymagazine/poem/182400 (Accessed at: 20 March 2015). 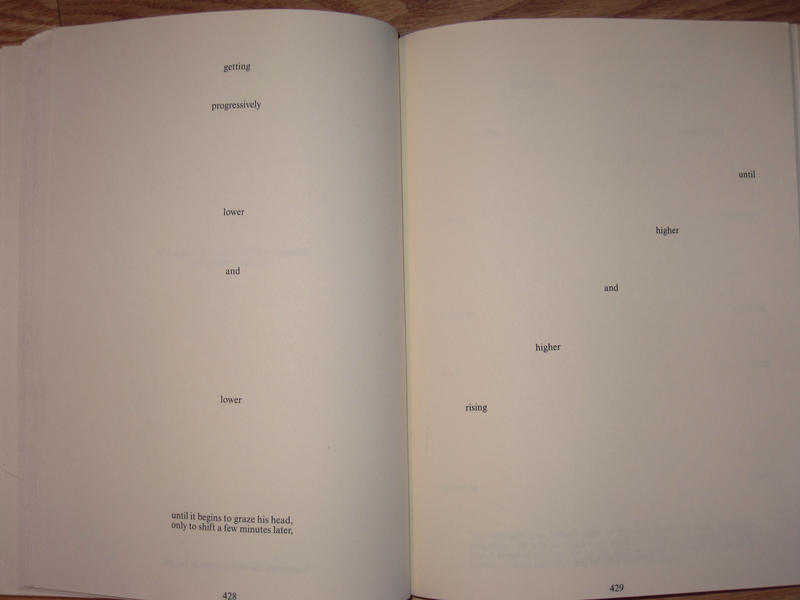 Derek Beaulieu (Poetryfoundation,2015) Derek Beaulieu uses isolated letters to create a visual, instead of verbal, patterns and deconstructing found texts to tease out Hidden meanings. 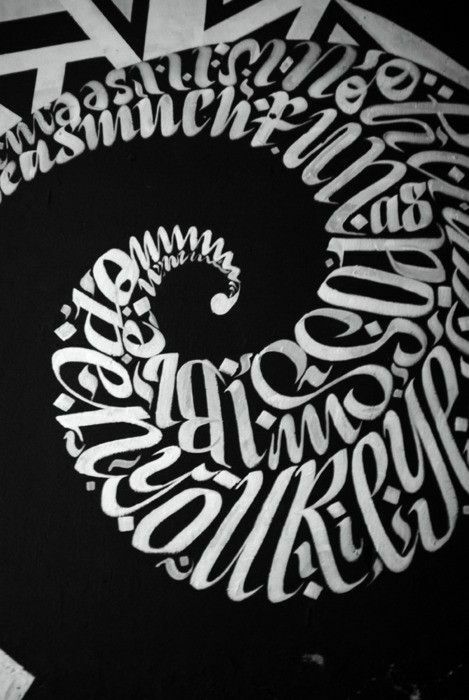 This design shows rhythm through the epetition of letterforms, different sizes of letterforms and the weight of letterforms. Derek Beaulieu. Visual poetry. [Online]. Available at: http://www.poetryfoundation.org/poetrymagazine/poem/182400 (Accessed at: 20 March 2015). This work was created by Derek Beaulieu, who was inspired by Dom Sylvester Houedard. 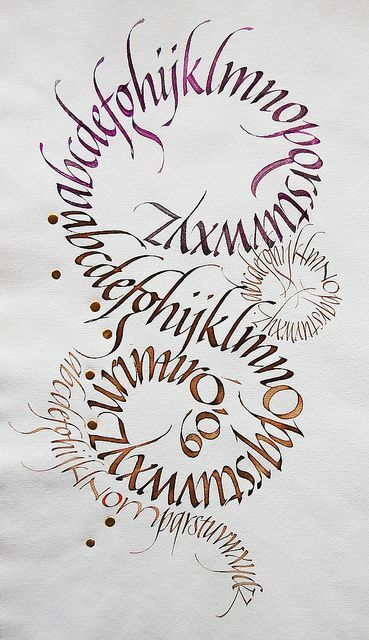 Beaulieu experimented with scale, weight and arrangement of the letterforms in a really effective way. It is very detailed with smaller letterforms within the design. Arkitypo series: A 1989 adaptation of the famous Roman capitals inscribed on the base of Trajan’s Column in Rome. The column can be climbed via an internal spiral staircase. 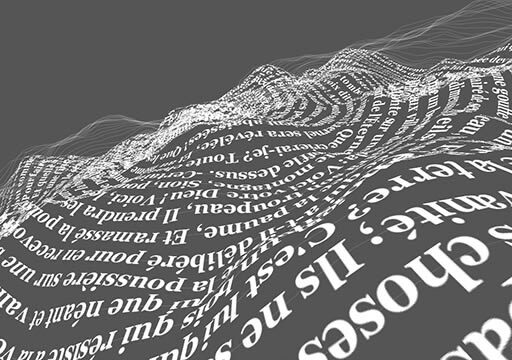 Sculpture of a spiral of words. Ideas of pinterest what I could do with words. This 3D sculpture stands out. Derek Beaulieu. Slience. [Online]. Available at: http://www.redfoxpress.com/dada-beaulieu.html (Accessed at: 18 March 2015). 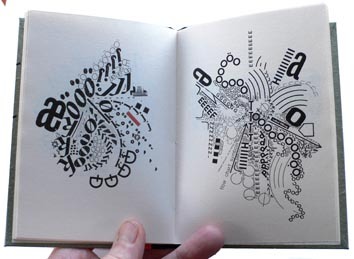 I like the typographic arrangement of Derek Beaulieu, he uses the scale of the letterforms to show sound and rhythm. Mark Z. Danielewski. (2000) house of leaves. [Online]. Available at: http://www.flickr.com/photos/alantrotter/2483052476/ (Accessed at:18 March 2015). Mark Z. Danielewski. 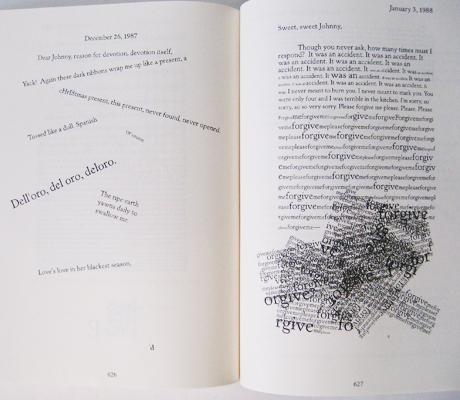 (2000) house of leaves. [Online]. Available at: https://litreactor.com/columns/post-mortem-house-of-leaves-by-mark-z-danielewski (Accessed at:18 March 2015). Mark Z. Danielewski. (2000) house of leaves. [Online]. Available at: http://www.goodreads.com/book/show/24800.House_of_Leaves (Accessed at:18 March 2015). 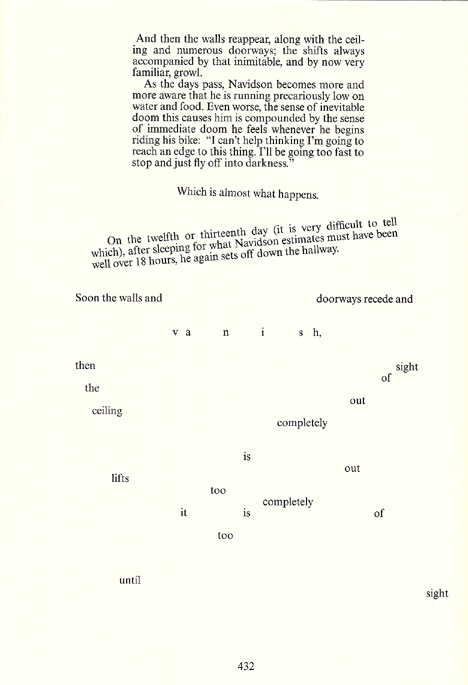 I looked at the house of leaves, as the typographic arrangement goes with what I am interested I like how spacing and the arrangement of the words are determined by the meaning of the words. It looks interesting and visually appealing. Jim Cokas. 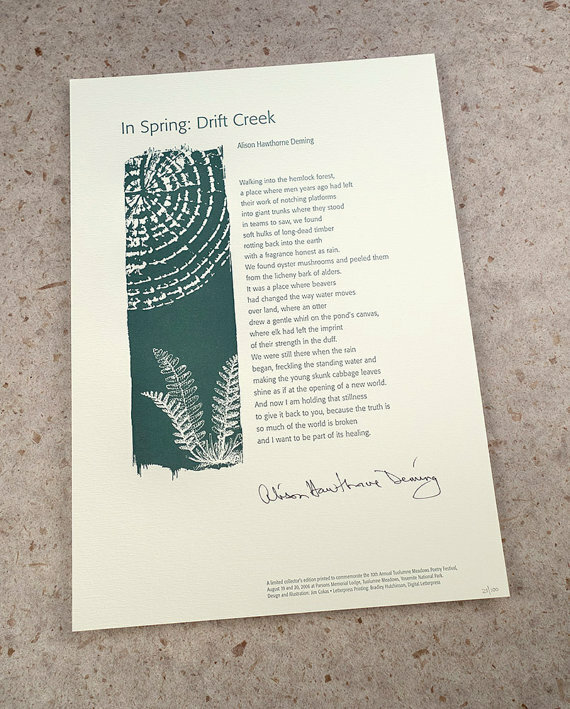 Letterpress Poetry Print- “In Spring Drift Creek”-Poet Alison Hawthorne Deming, art & design. [Online]. Available at: https://www.etsy.com/uk/listing/28914525/letterpress-poetry-print-in-spring-drift?ref=cat_gallery_36&ga_search_query=typography+poetry&ga_search_type=all&ga_view_type=gallery (Accessed at: 20 March 2015). Jorg Piringler, (2008) Fallen. [Online]. Available at: http://www.poetryfoundation.org/poetrymagazine/poem/182407 (Accessed at: 20 March 2015). 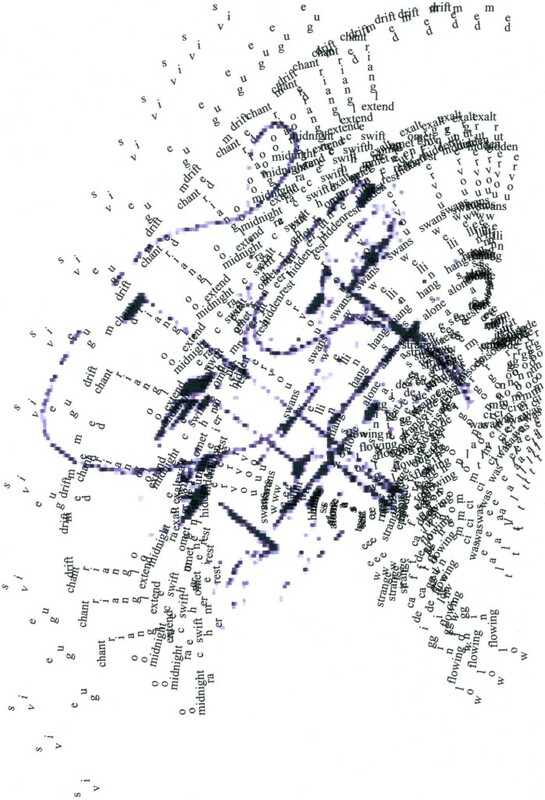 Jörg Piringer works in many forms, including visual, digital and sound poetry as well as music. He combines a visual sensibility with computer programming skills to tumble text from the English translation of the Communist Manifesto into a pile at the bottom of the page. Overlapping letters shows a visual image. 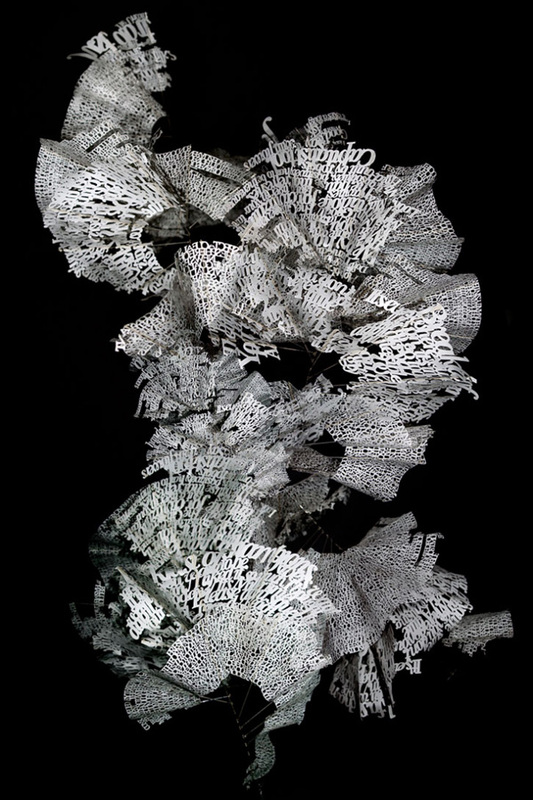 The letterforms show the meaning of the title of the poem ‘Fallen’. Interesting and effective. 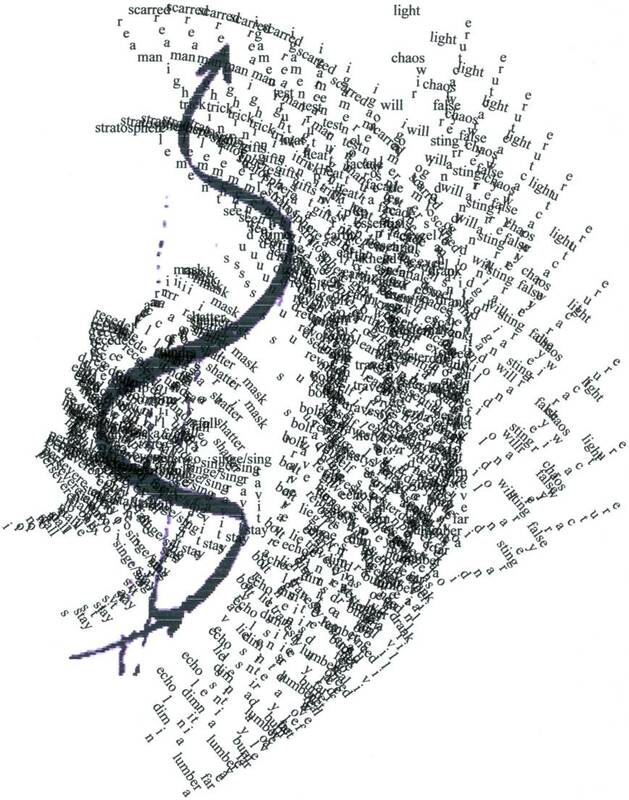 Obviously these letterforms are not legible but thats not really the idea of poetry design, as it shows more how poets communicate through letterforms using spacing and the overlapping of letterforms. This shows how paper affects the scale of words. This looks quite interesting and it goes with what I want to do for ‘Not I’, using scale of the words depending on the tone of voice. Pinterest. Sunlight shines through laser-cut phrases. [Online]. Available at: https://www.pinterest.com/pin/523402787913977615/ (Accessed at: 18 March 2015). Sunlight shines through laser-cut phrases at the Moving Memories Memorial in Phoenix. The phrases are meant to reflect a range of thoughts from Arizonans affected by 9/11, and were picked after months of research. I quite like how the laser cut letters are reflected, as its a different way of showing typography and it stands out. 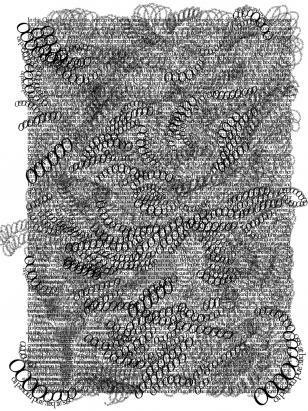 Andrew Topel Typography by Andrew Topel, editor & publisher of Avantacular Press (This work was part of a gallery selection of visual poetry published in Atticus Review on August 11, 2011 (Topel ,2011). 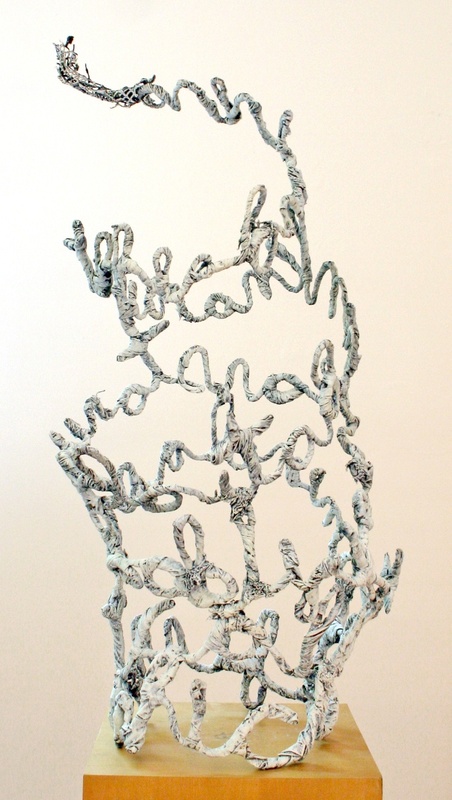 Andrew Topel uses ink and digital methods for his typographic arrangements. I quite like the spacing of the words and how the ink is on top of the digital letters, this looks quite effective and stands out. Digital and traditional methods is want I want to explore more! 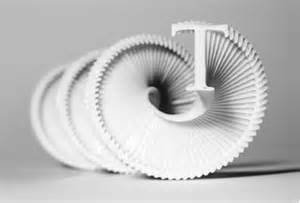 I could do something similar and laser cut the letters and overlay them to show a 3D spiral/ installation. This looks very interesting how each word is overlapping. These typographic installations are quite interesting, as they look like a typographic staircase. I like how the letters overlap each other, as it stands out, looks effective and distinctive.